It's his birthday!! 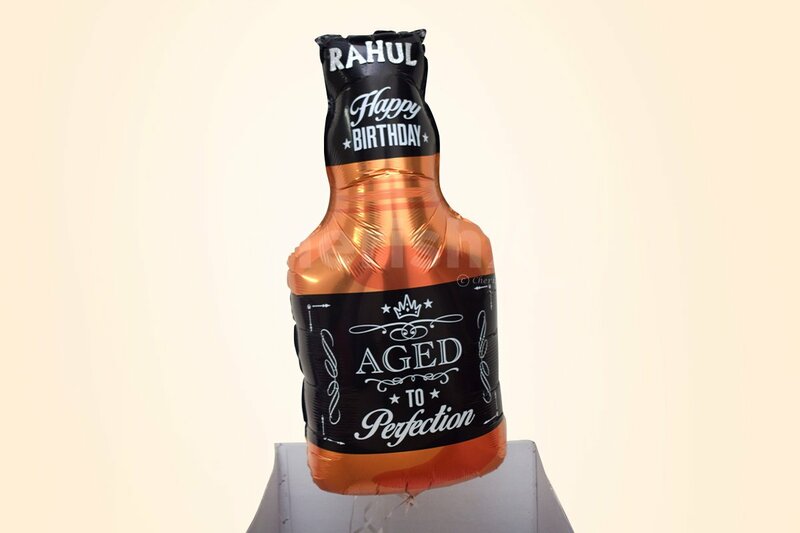 Wish him with a whiskey shaped balloon that comes in a surprise box. "Birthdays call for celebrations for sure & if it's the big day of someone close to your heart, you leave no stone unturned to make the occasion extra special & memorable. Balloons are a must have necessity in every occasion. Ditch the cliched balloons this time & hop on the funky helium balloons that come wrapped in a surprise box. It's his birthday & a mandate for you to make it standout. 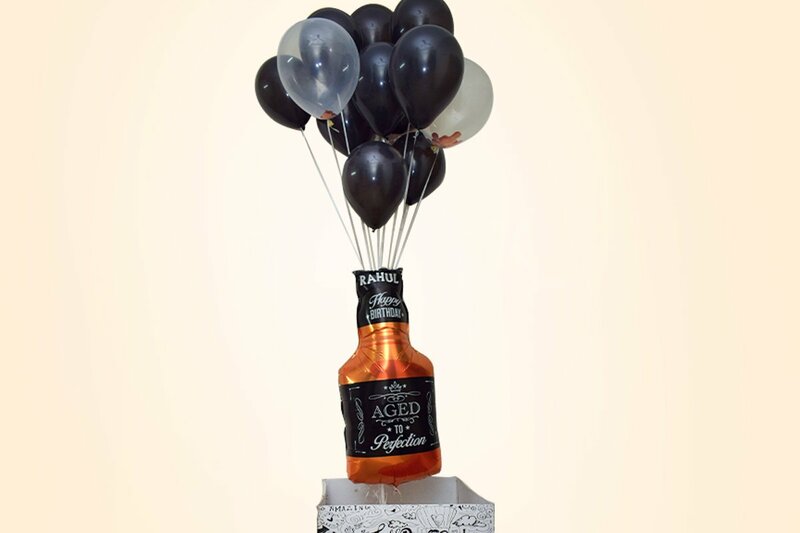 CherishX brings a unique styled whiskey shaped balloon that comes out of a surprise box along with the set of black & transparent confetti balloons. 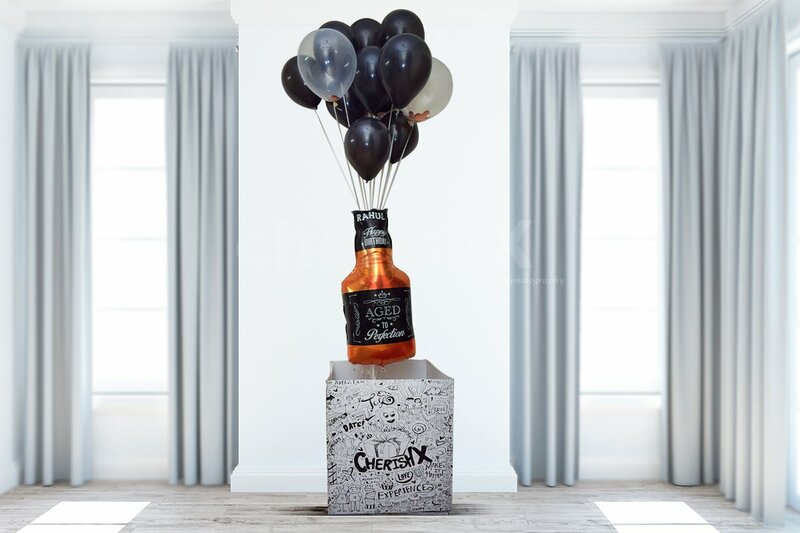 If you have a party later in the evening then all your guests will not miss out to gaze at this piece of art. Printed is the name of the birthday boy on the balloon. All it can remind him of are the boys night out when he goes boozing (wink wink)! Add more to your surprise box with customization like a personalized message card, flower bouquet, cake, sparkling wine etc. We make midnight delivery as well so as you can be the first one to wish him Happy Birthday!!"